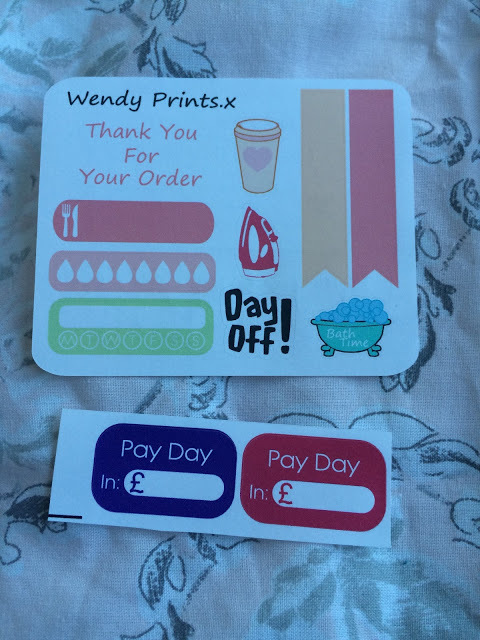 This week, I have a shop I’ve only recently discovered: WendyPrints. I stumbled across Wendy’s shop on Instagram and just knew I had to buy something! In the end, I bought all of this for only £12! I did use a 25% off code but I still think I got a lot for my money and paid only £1 for shipping. I am so into these colours. 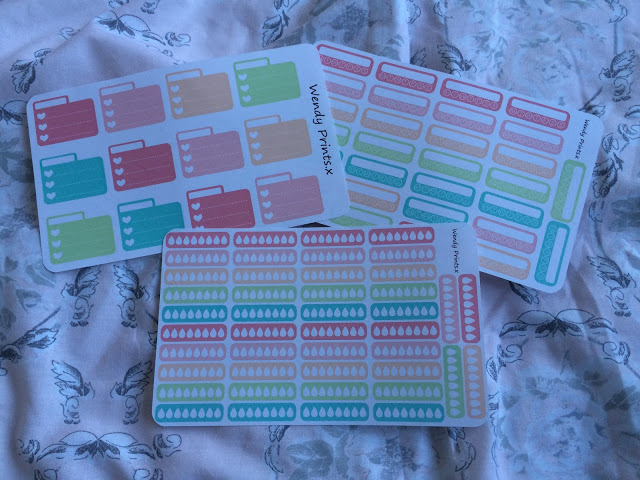 These were all seperate sheets and I actually bought two sheets of both the water stickers and the seven-day habit trackers. 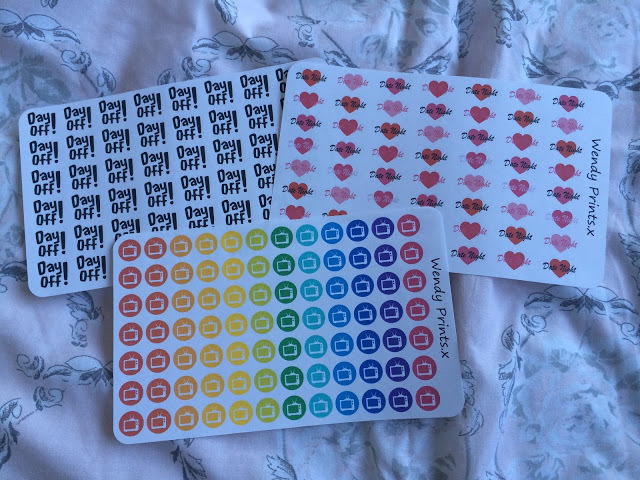 These stickers I will use every week, I guarantee it. You never know when you’ll need a Date Night sticker eh? I’m so obsessed with freebie sheets and Wendy went above and beyond with these two! 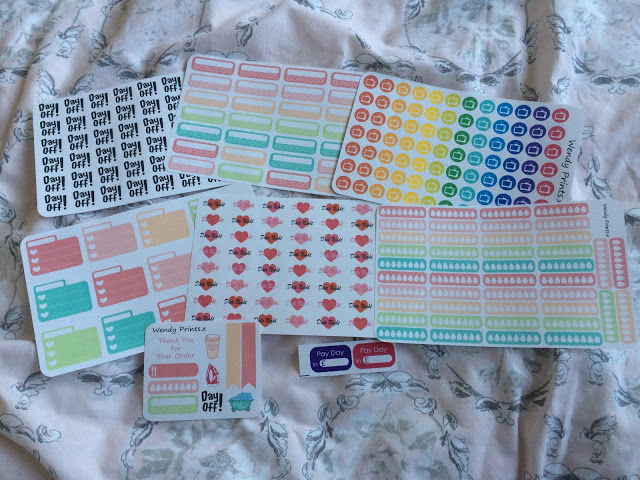 I love that they include a complete mix of stickers and they will all get used! And these pay day stickers? If only the numbers I write on them would be bigger! Check out Wendy’s shop here and give her a follow on Instagram here.